Monolith has been pretty great about releasing videos for their upcoming console MOBA, Guardians of Middle-Earth. Previously, we've shared with you guys videos outlining six of the heroes for the game so far. Today, we have a developer diary video for your viewing pleasure. Since the MOBA genre is pretty competitive these days, any developer making one will likely wish to make their game attractive to current MOBA players. Following this mindset, Monolith invited eight professional MOBA players into their studio to play Guardians of Middle-Earth and give them feedback on the game. It's always nice to see developers taking player feedback to heart, and Monolith certainly did in this case - even to the point of rushing a new build based on it! 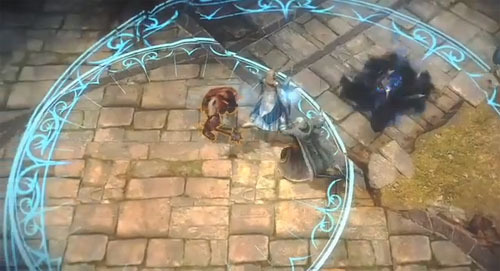 Guardians of Middle-Earth will support 5-player online co-op for XBLA and PSN. It will be out sometime later this year.